How to Port Mobile No to BSNL? We are presenting below the procedure for your mobile number porting to BSNL. No doubt BSNL is like a sleeping giant like mamoth SBI but now Reliance Jio entering the market the game can change foreever. Obtain Unique Porting Code (UPC) by sending an SMS to 1900 in the format ‘Port Space 10 digit mobile number” (eg and send it to 1900) in case of J&K pre-paid mobile subscriber to get UPC - call 1900 instead of sending SMS. UPC allocated to a subscriber shall be valid for a period of fifteen days from the date of request or such time till the number is ported out, whichever is earlier, for all service areas except Jammu & Kashmir, Assam and North East licensed areas the validity for the UPC shall be for a period of thirty days from the date of request or till such time the number is ported out, which ever is earlier, irrespective of. number of requests the subscriber makes. You have to visit the BSNL CSC (Customer Service Centre) / Authorised franchisee / retailer to request for porting of your mobile number. Fill in a CAF (Customer Application Form) and pay the porting fees for processing. 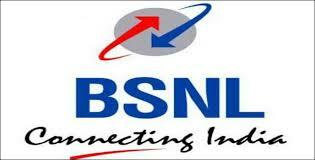 (Presently BSNL is not charging any fees for porting into BSNL). You are required to change your SIM card at the said time. In case of problem you need to contact the Toll free number 1800-180-1503 or 1503 . Get free telecom market tips by subscriing for our free email newsletter.